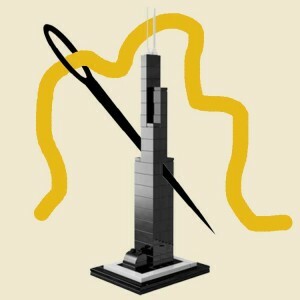 Since 1974, Chicago was the home of the “Tallest Building in America.” The Sears Tower, (named that because it was paid for by the Sears Company – not because Sears employees worked in all 100 floors) was crowned the tallest building at 442 meters tall. 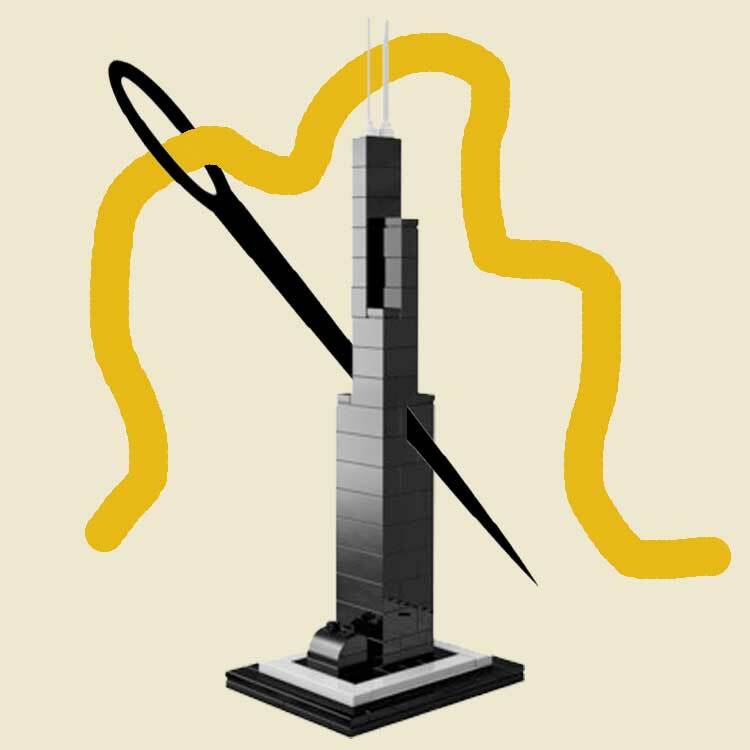 By the way, the Sears Tower is now called the Willis Tower because Sears sold it. topped at 541 meters so it is now crowned the winner and champion as the “Tallest Building in America”. This height measurement includes the needle at the top, which is like measuring the height of a cake up to the tip of the birthday candle than measuring the cake itself. It just doesn’t seem right. Alas, maybe Frank Lloyd Wright’s Mile High Building will get build someday in Chicago. That will show ’em.height and they are the folks who grant this title for tallest building. There is a second tower at the World Trade Center site, called 4 World Trade Center, which is a mere 1000 feet tall. Well, we admit, 1000 feet is still tall. It has an elegant, shiny glass facade that reflects the 9/11 Memorial Pools beneath and the other World Trade Center tower that is mentioned above. This building was designed by Japanese architect, Fumihiko Maki, to honor and celebrate the space where the World Trade Center once existed. In this New York Times video, a member of the architecture team is interviewed at the site as it an opening celebration in November 2013. 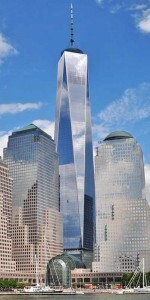 The photo of the World Trade Tower is licensed under the Creative Commons Attribution-Share Alike 2.0 Generic license.